First we had Tony Abbot swing by Newtown’s Young Liberals meeting and post a photo of himself enjoying an “invigorating Q&A” session in a sea of, you guessed it, young, white Liberal men. 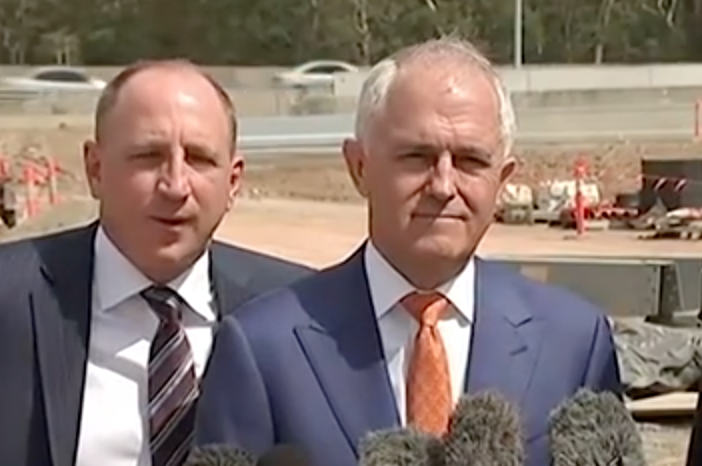 Then we had Queensland LNP MP Luke Howarth join the Prime Minister Malcolm Turnbull at a press conference in Brisbane. When Mr. Howarth was asked by a Sky Reporter about the lack of female representation in the LNP he was heard to say, “this is f—ed”. Then came the cherry on this gaffe sundae. Mr. Howarth’s colleague Liberal backbencher Craig Kelly took to the Sky airwaves to help. “Obviously, you would like to have a greater mix across society represented in Parliament, the reality is federal Parliament is a very female unfriendly place,” he said. “We have done a lot of things, we have seen some of the members breastfeeding actually in the chamber, which I thought was a bit over the top,” he added.